A painting of a Brown Trout just having been caught. 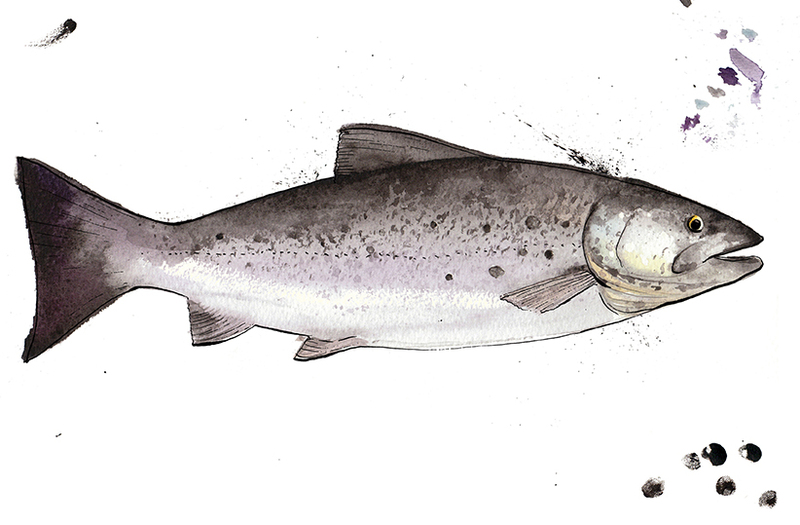 The illustration tries to capture the freshness of the fish, wet from the catch with splashes of ink to represent this as well as the characteristics typical to this species. Painted using a mixture of inks, watercolour and acrylics all different elements were then scanned and brought together using Photoshop.